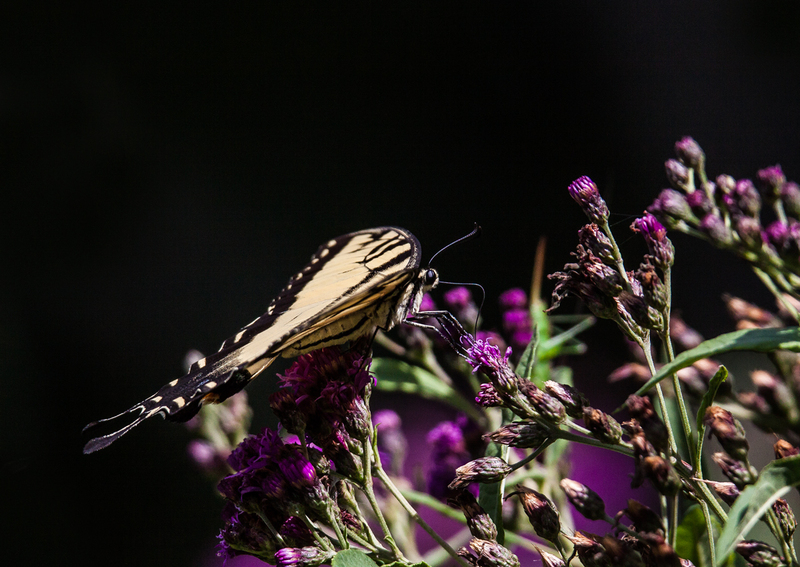 When presented with a downward-facing flower, this Eastern Tiger Swallowtail butterfly (Papilio glaucus) was forced to choose an unusual angle of attack. Seeming defying gravity, this acrobatic butterfly hung upside down as it probed upwards earlier this week at Prince William Forest Park in Triangle, Virginia. If this were an Olympic competition, I would give him a 10 for both his technical skills and overall artistic impression. There is not denying that it is exciting to capture unusual moments, like a snake swallowing a catfish, or to photograph a new species, as I have done recently with dragonflies. For me, though, there is something equally satisfying about returning to a familiar location and observing ordinary subjects. It is a different kind of challenge to present the ordinary in an extraordinary way, in a way that makes people stop and realize that natural beauty surrounds them every single day. 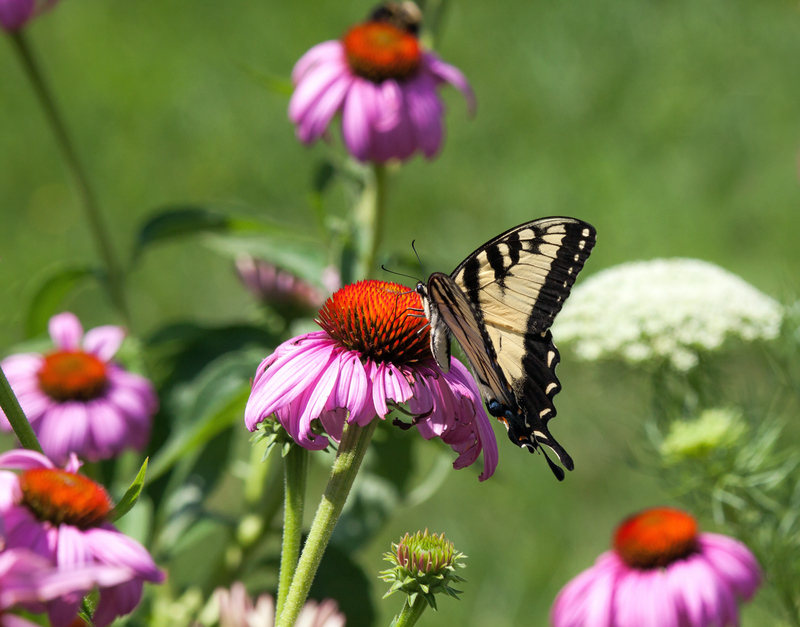 Last week, butterflies were really active at Huntley Meadows Park. 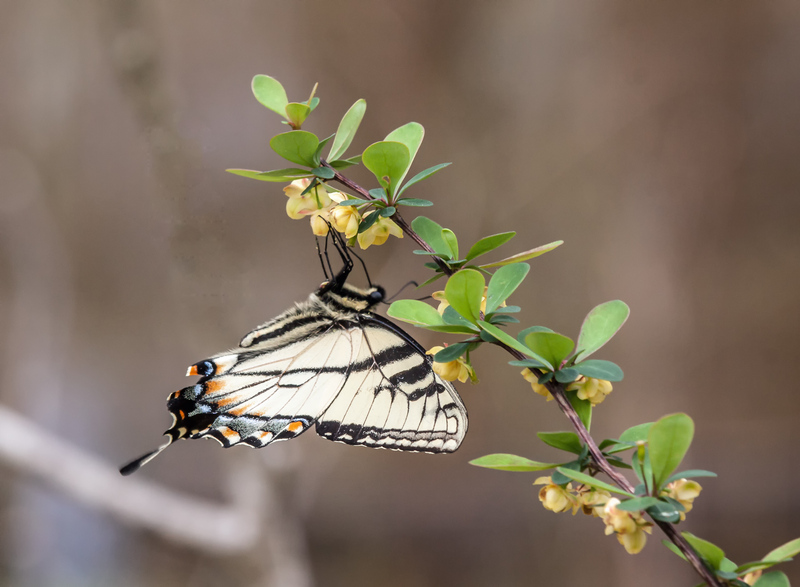 When I am in a garden, it is easier for me to guess where a butterfly will fly next, but in the wild, butterfly behavior is a little more unpredictable. 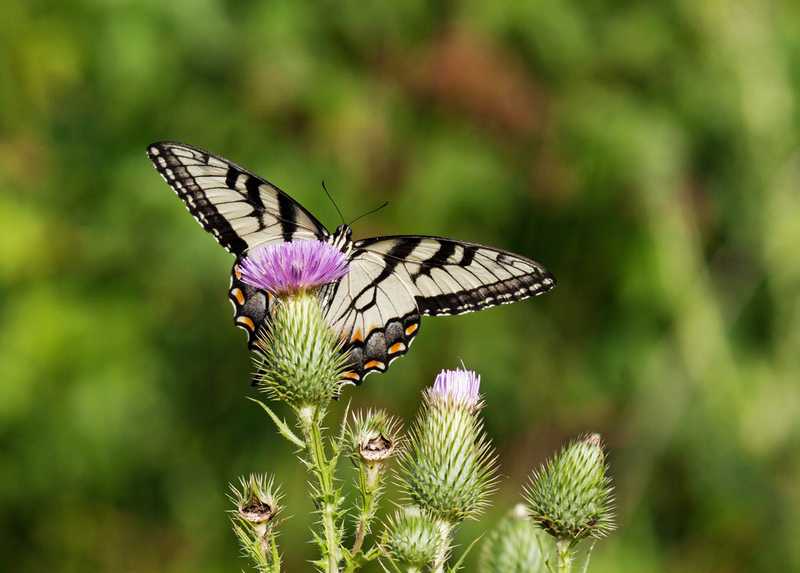 When I noticed that a stand of what looks to be some kind of thistle was beginning to open, I hoped that the Eastern Tiger Swallowtail (Papilio glaucus) that was flying about would be attracted to it. 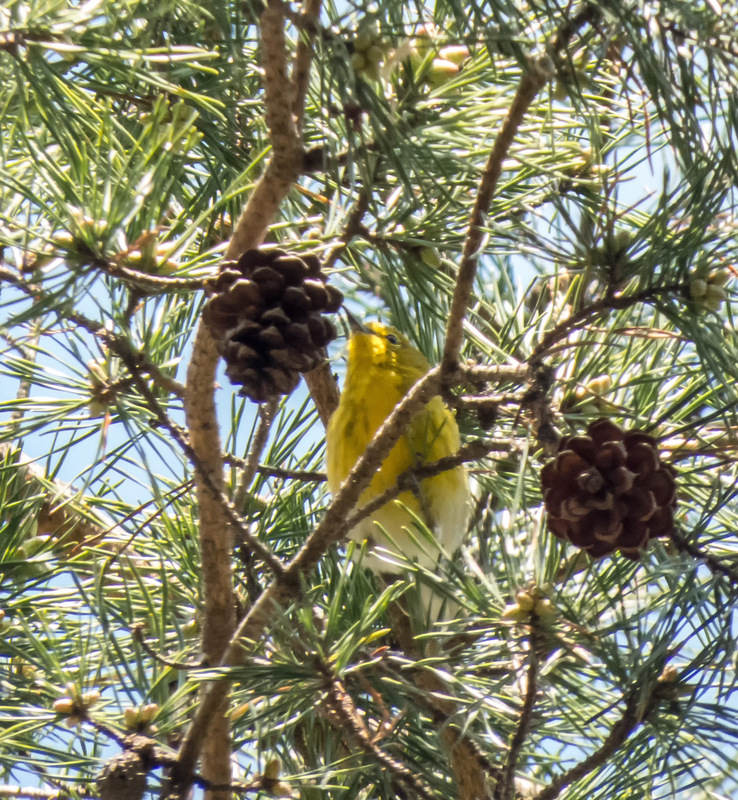 Eventually it flew to the thistle and I was able to capture this image. Spectacular? No, not really. Beautiful? I’d say so. The image works for me, because it has just enough stopping power to cause views to recall how beautiful ordinary butterflies can be, to rekindle the childhood memories of being excited by butterflies, and to remember how exciting it was abandon caution and simply and joyfully chase after butterflies. When the Eastern Tiger Swallowtail butterfly (Papilio glaucus) that I was chasing at Riverbend Park flew into some vegetation, I thought that I had lost it. 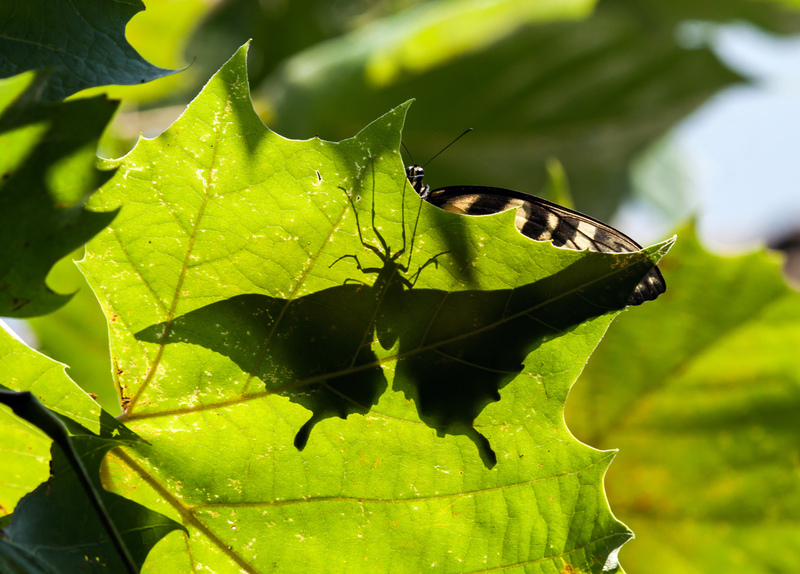 Suddenly and almost magically the butterfly’s shadow was revealed on a large leaf as it moved about. 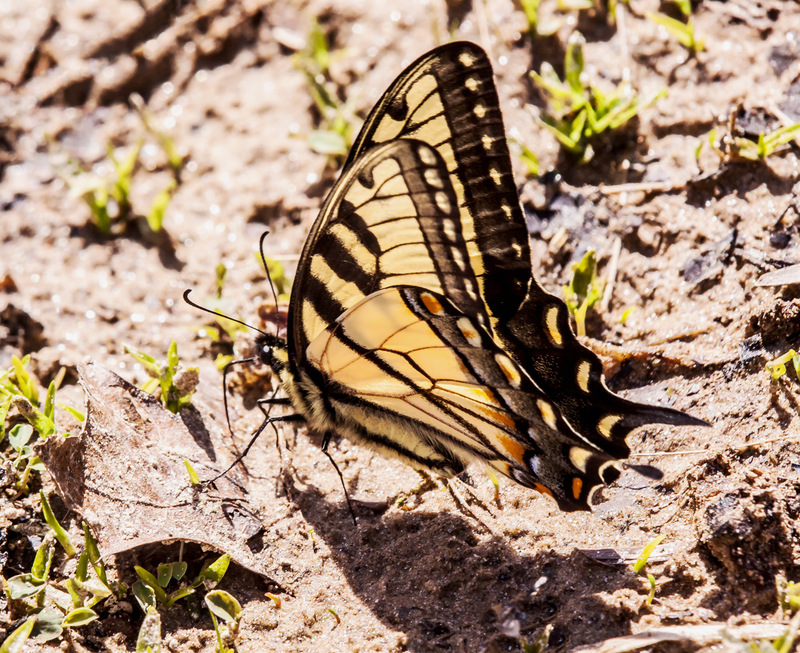 I was thrilled to be able to capture the swallowtail shadow as well as a small portion of the butterfly itself. Brightly-colored flowers and butterflies—-what a wonderful combination for a summer’s day. I spotted these beauties this past weekend at Meadowlark Botanical Gardens in Vienna, Virginia. 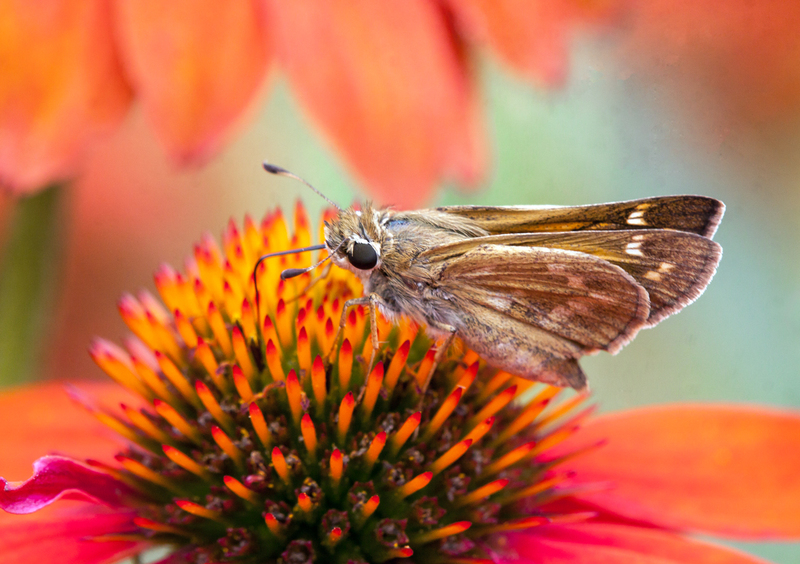 The first shot features a little skipper butterfly on a spectacular, orange-red coneflower. 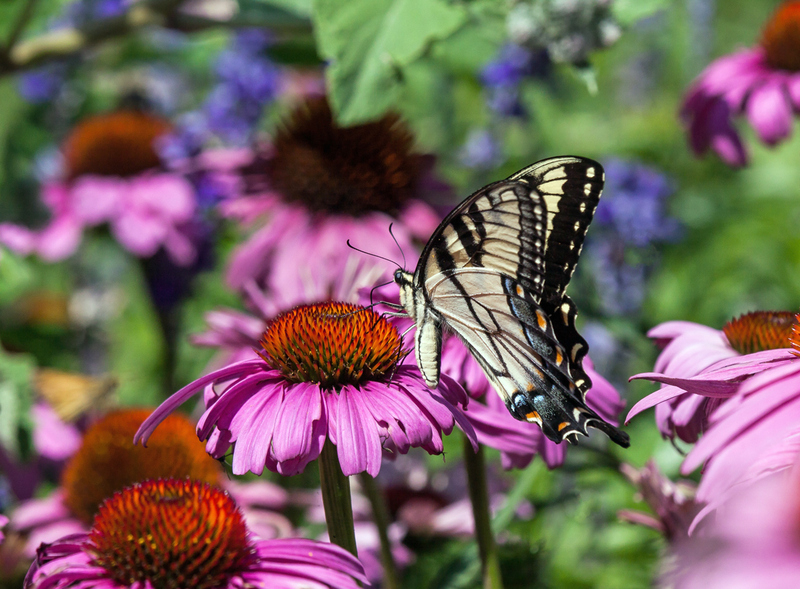 The other two shots highlight the beauty of an Eastern Tiger Swallowtail (Papilio glaucus) in a patch of the more frequently observed purple coneflowers. I’ll often try to get shots of butterflies with their wings wide open, but when they turn sideward, you can sometimes get an equally spectacular view of them slowly sipping nectar. I can’t identify the flower, but the butterfly definitely is an Eastern Tiger Swallowtail (Papilio glaucus) that I chased about this past weekend at Green Spring Gardens. 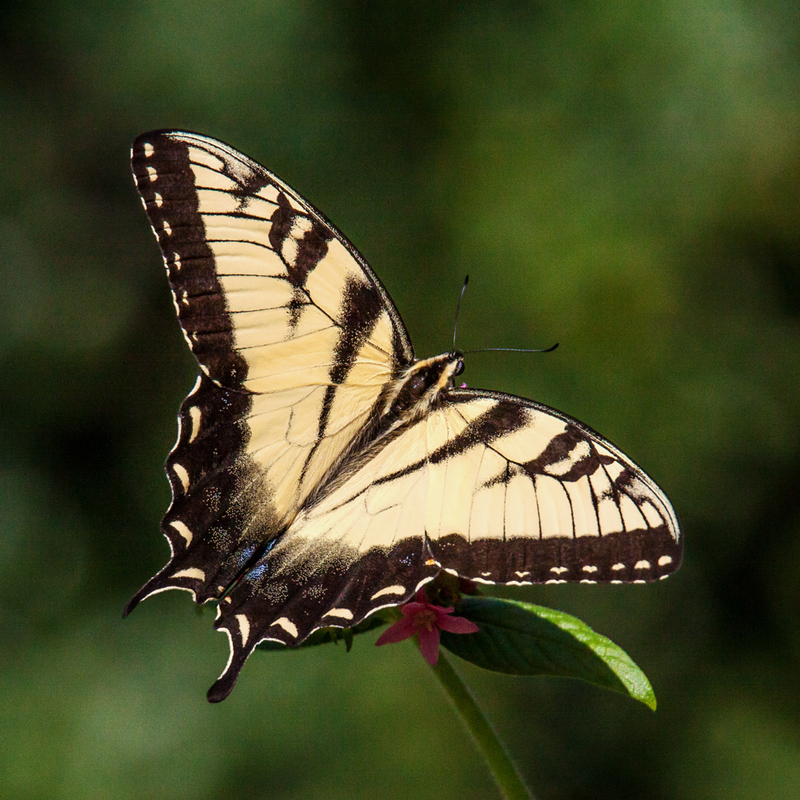 Butterflies are always beautiful no matter what their condition, but there is something really special about seeing a perfect specimen with its wings wide open, like this Eastern Tiger Swallowtail (Papilio glaucus) that I spotted this past weekend at Green Spring Gardens.